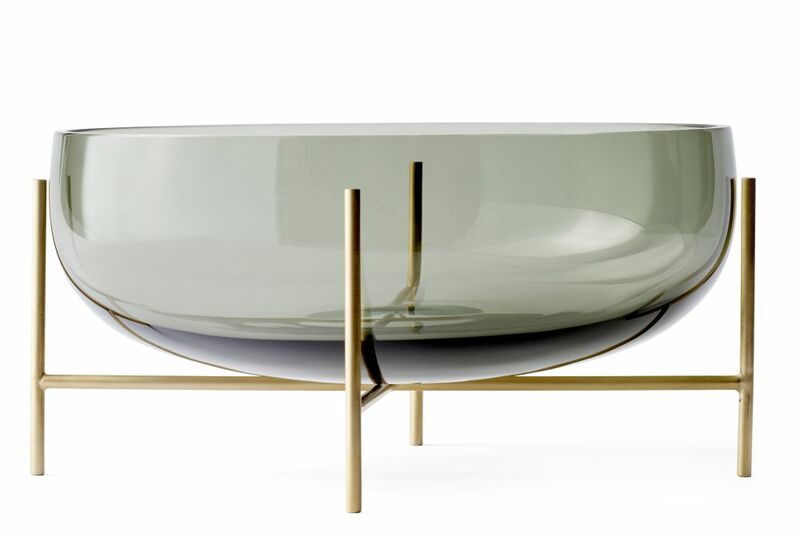 Échasse Bowl combines the elegance of a traditional glass bowl with a playful and light expression, created by four slender brass legs that elevate it into the air. The word échasse is French for “stilts” – and that is precisely the effect, as if the bowl walks on stilts. Made from smoked glass, Échasse Bowl typifies rising-star German designer Theresa’s philosophy to make functional yet poetic design, using long-lasting, natural materials.